Japanese has been taught at Ainslie School for over 30 years. The school has enjoyed a long association with Nara, Canberra's Sister City, and has appreciated the close links with the Australian-Japan Association. It was through the early links between Nara and Canberra, assisted by the sister school arrangement made at this time between Tsubai Primary and Ainslie School, that the Nara-Canberra Sister City relationship had its beginning. This strong association has assisted the special relationship between Ainslie and Japan. This has meant that the school often hosts visits from Japanese school children, their teachers and various official delegations to the city of Canberra. 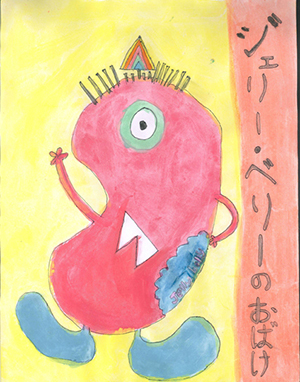 These visits complement and enhance the school's Japanese language and cultural program. Ainslie is very proud to have these strong links with Japan and the Japanese people. Each year, Ainslie School welcomes a Japanese university student that assists the Japanese language teacher and supports the Japanese program at Ainslie. 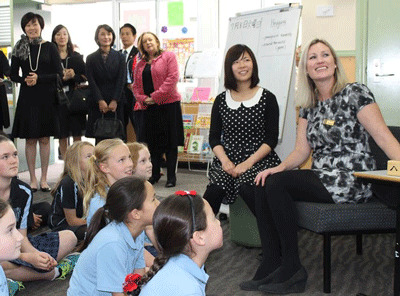 Mrs Abe (wife of the Japanese Prime Minister), Mrs Akimoto (wife of the Japanese Ambassador to Australia) and Joy Burch MLA (Minister for Education and Training) visited Ainslie School on the 8 July 2014 and observed a Japanese language lesson taking place. All children from Kindergarten to Year 6 have access to the Japanese Language Program, which incorporates language and cultural awareness. Students can continue Japanese at Campbell High School and Dickson College.